We consider the problem of searchable encryption scheme which allows a user to search over encrypted data without decrypting it. Existing schemes in the symmetric setting only deal with equality search or a limited similarity keyword search. 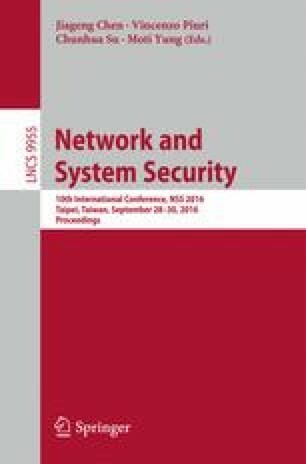 In this paper, we study Bloom filter-based searchable symmetric encryption schemes which make search on encrypted keywords more expressive and flexible, i.e., support fuzzy search or wildcard search by using multiple wildcard characters. Our schemes are more efficient than previous solutions on both computation cost and communication cost. Security of our main construction is analyzed based on a formal, strong security model for searchable symmetric encryption. This work was supported in part by JSPS KAKENHI Grant Number 26330151, JSPS A3 Foresight Program, and JSPS and DST under the Japan - India Science Cooperative Program.